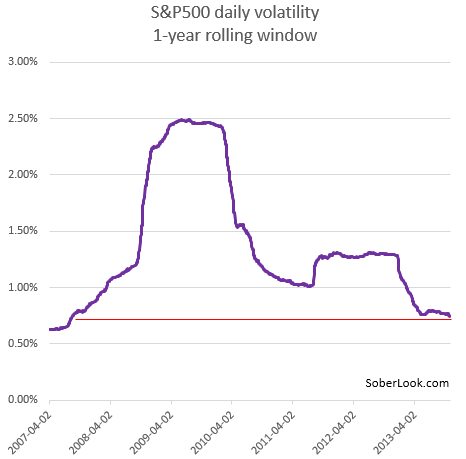 Over the past year the daily volatility of the S&P500 index fell below 75bp - the lowest level since 2007. This result is mirrored by the implied volatility measures, with the daily average VIX touching new post-recession lows. One of the contributors to this decline in volatility is the retail investor. Over the past year or so the relentless flows out of domestic equity mutual funds have stopped.